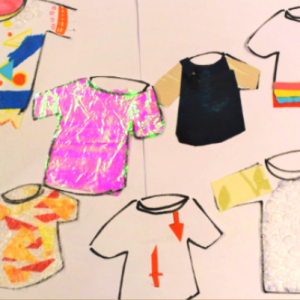 Year 7 Fashion Design Year 7 are developing their individual designs in response to their current brief in DT ‘Make a customised t-shirt using recycled household objects’. 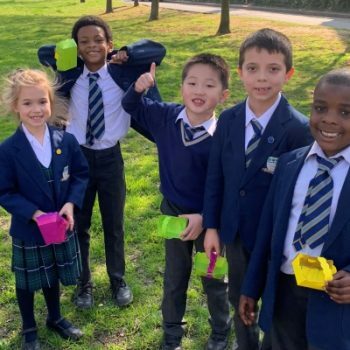 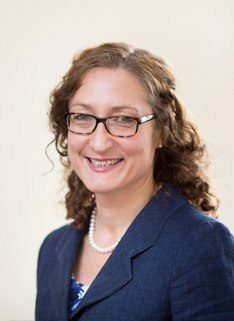 They have started by exploring the work of contemporary designer Katie Jones, who uses brightly coloured fabrics and recycled wool to create her clothes. 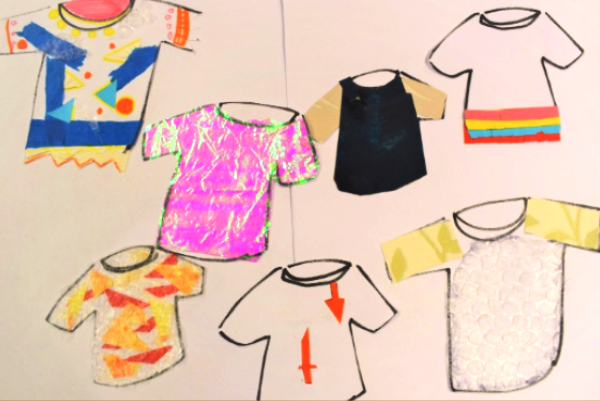 Pupils have used Jones’s work as their inspiration to create a range of collaged fashion design illustrations, using recycled paper and plastic scraps, thinking about how they will customise their own t-shirt. 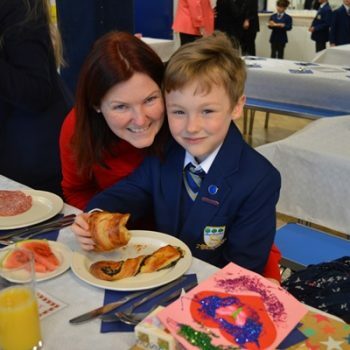 All pupils in Year 7 will have the opportunity to showcase their finished garment at the end of the project, with the best garments winning their houses plenty of points! 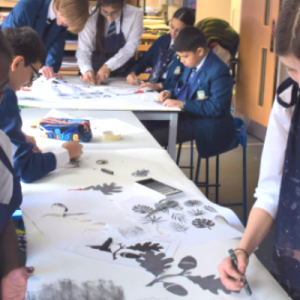 Year 8 Largescale Collaborative Drawing The next stage in Year 8’s ongoing project, exploring Surface and Pattern, is to explore ways to work on a LARGE scale! 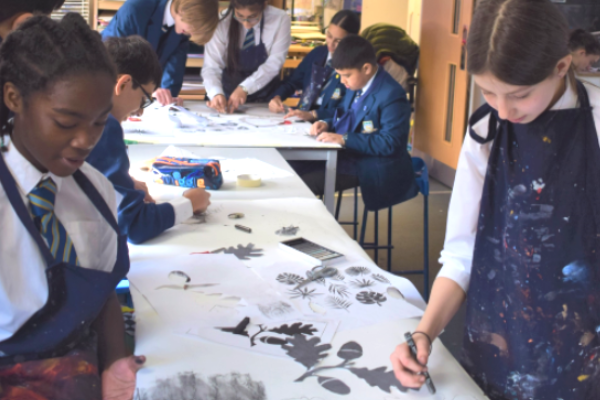 Pupils are continuing to develop their composition skills while also exploring a range of drawing and painting media to create an artwork that evokes the atmosphere of ‘through the trees’. 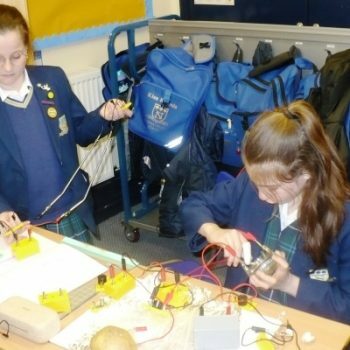 Pupils are challenged to work collaboratively, sharing skills and ideas to make the work. 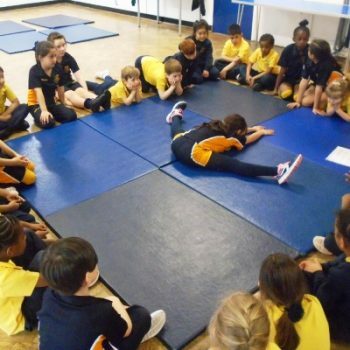 When completed, the final works will be an expression of traditional and contemporary techniques and show how they have developed a collaborative response to the theme. 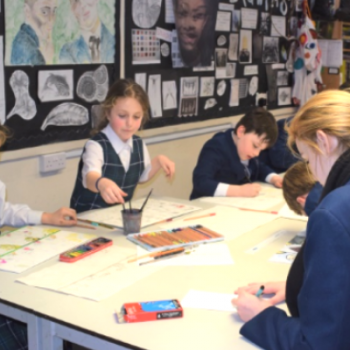 Art Club – Comic Book to Animation This term sees Art Club develop their own comic book story which they will use to inspire an animation. 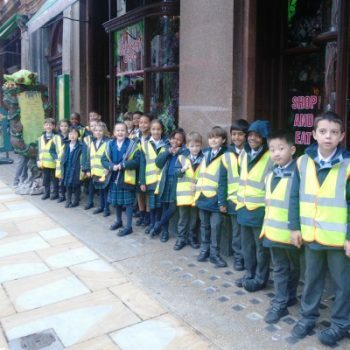 They have written an 8-cell story and developed a design for their characters and environment. 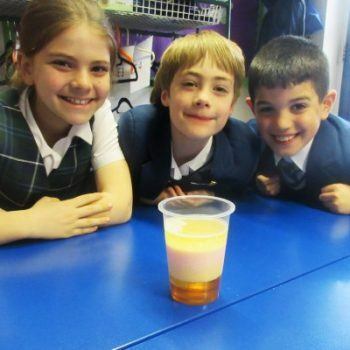 The group will then look to explore moving images through flip books and then finally develop stop motion animations. Art Club brings together pupils from Year 3 to Year 9, allowing the class to share their skills and knowledge to inspire each other. 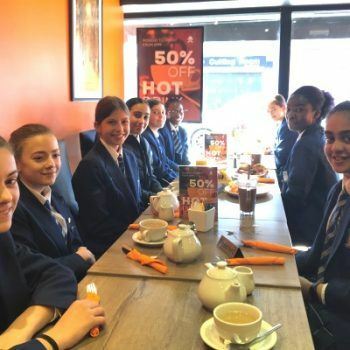 This term we are also supported by Year 10 pupils who are working towards achieving their bronze Duke of Edinburgh award. 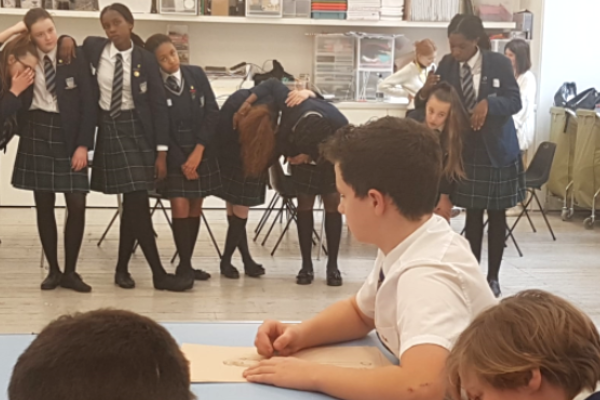 Year 9 Workshop at The Royal Academy of Art Year 9 had the opportunity to work with Royal Academy artists to develop a visual response to the work of contemporary video artist Bill Viola and old master Michelangelo. 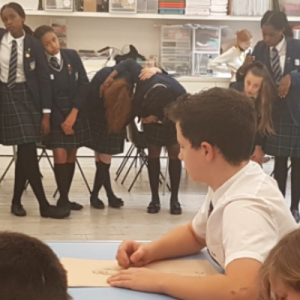 The pupils where challenged to discuss the ideas and concepts behind the work of both artists and then supported to develop a series of images that could be used as proposals for their own piece of contemporary video art! 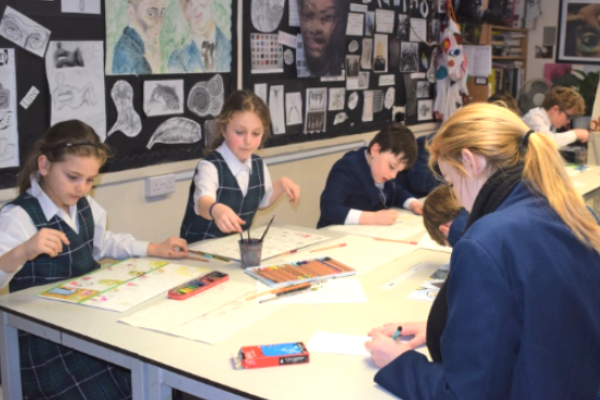 Pupils will bring their learning back into the classroom to help them develop their own figurative sculptures.